I cut a circle using the larger circle die from the Snow Globe die set, and blended Something Borrowed and Suede Shoes ink onto it. I cut a Delicate Snowflake from White cardstock and used my Lawn Fawn Gluetube to adhere it to the blue circle. 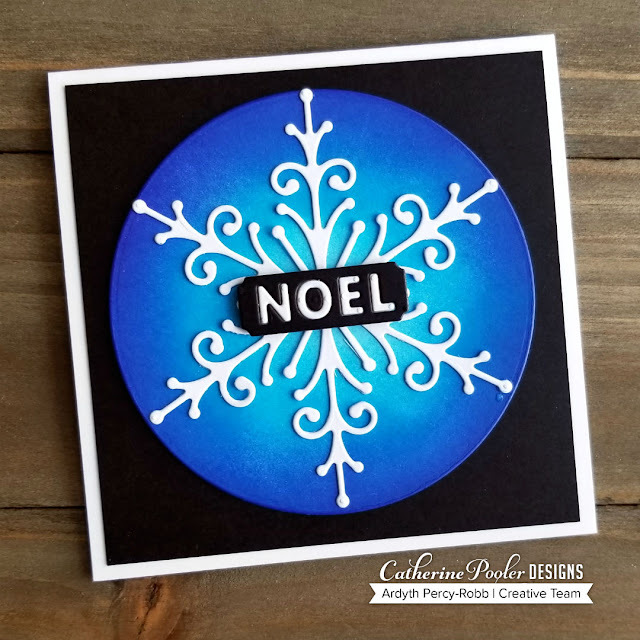 I cut the NOEL from Midnight and White cardstock and inlaid the white letters into the black frame.